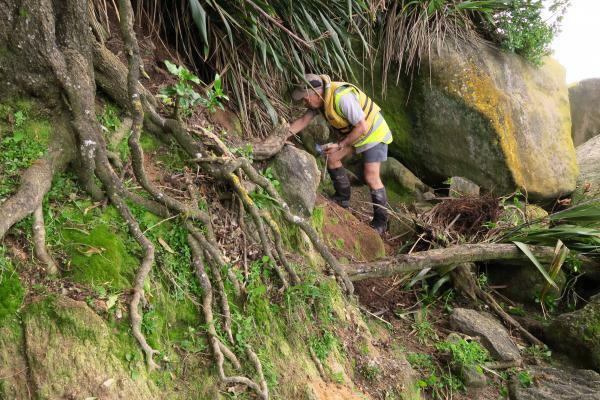 Gardeners in the Nelson Tasman region are pitching in to help save a plant on the brink of extinction in the wild. Coastal peppercress Lepidium banksii was once abundant in Tasman Bay but despite an epic struggle by DOC to ensure its survival it is now among the 10 most endangered plant species in New Zealand. 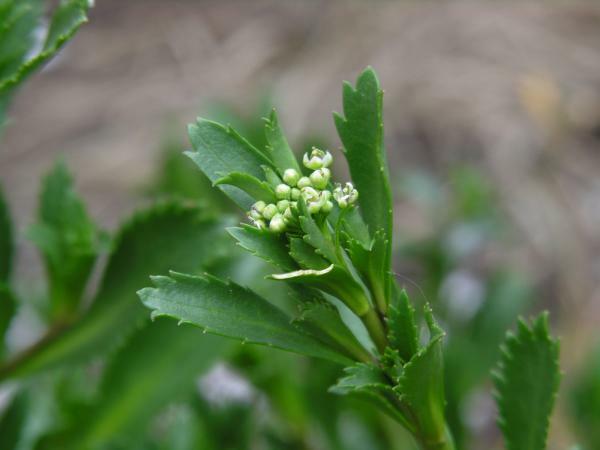 There are small numbers of peppercress surviving in the Abel Tasman, on Tonga Island, the Pinnacle island rock stack, and near penguin colonies on the mainland between Frenchman’s Bay and Bark Bay. Named after Captain James Cook’s expedition botanist, Joseph Banks it was eaten by their crew to ward off scurvy, and was also an important food source for Maori. DOC biodiversity rangers Roger Gaskell, Shannel Courtney and Simon Walls have spent hundreds of hours trying to save Lepidium banksii. “There have been a lot of setbacks. Deer and possums have eaten whole sites, plants have been swept away in cyclones, buried in landslips or smothered by seals Not to mention aphids and cabbage white butterflies that can reduce a plant to stalks in no time and seasonal outbreaks of Albugo the shepherds purse fungi”, says Roger. 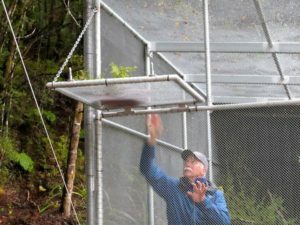 This year is the second year local gardners from groups like the Coastal Garden Group, Nelson Botanical Society, and NELMAC are helping grow the rare plant. Coastal Garden Group member Brian King says it’s a hard plant to grow from seed but those in the club are managing to cultivate a few. “I have been asked why try and help a plant that everything that moves eats and what I say is that 99% of species that attack peppercress have been introduced so we have a responsibility to help try and get it back on its feet again,” he says. Roger Gaskell says its wonderful the local gardners are helping to grow seed. 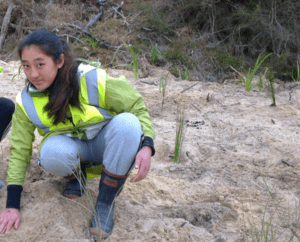 “It’s the most time-consuming species I have dealt with but we are feeling increasingly confident that we can get more of this critically endangered plant growing successfully in the Abel Tasman. 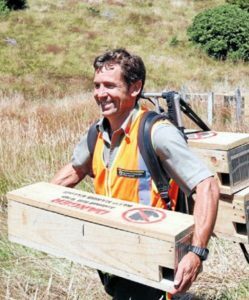 Having a plentiful supply of seed will enable more of a bold trial-and-error approach to management,” says Roger. As well as planting, DOC is sowing seed directly in strategic sites in the Park in the hope it will take off. Peppercress needs plenty of open space and has a high nutrient requirement, which it gets from seabird guano, so if gannets, penguins and shearwater are thriving in the Park the rare plant will have more suitable ecosystems to live in.